Conflating what’s happening in the commercial and residential sustainability space is a big mistake and is also wrong about the purpose and scope of the tools it’s working so hard to discredit. This article doesn’t meet the standard I expect from this news source. Yes, residential sustainability tools (NatHERS, Accurate) review only the predicted energy consumption of houses and have no post occupancy auditing/review required. Yes, this needs to be addressed. However, this article is wrong when it comes to commercial buildings. Commercial buildings using Green Star and the Living Building Challenge (LBC), do include auditing of the building after it’s been occupied to ensure that the building does what it says on the tin and do include requirements for transport and “liveability” – things like daylight, plants material selections etc. Listing a set of sustainability tools and including NABERS in the list also shows a fundamental misunderstanding of the tools and their purpose. The Green Star and LBC tools are used throughout the development of a new commercial building, while NABERS was originally developed to measure and benchmark the energy consumption of existing buildings (not new ones) and is now a collection of tools specifically focused on the performance of existing buildings. 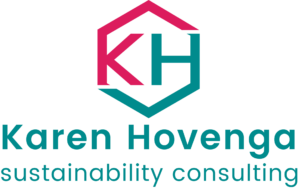 As a sustainability consultant, I use these tools to simplify the choices around sustainability and help my clients answer the question, “what do i need to do to have a sustainable building”? Without them there are too many options and difficult decisions to be made. It’s very easy to say “you’re not being sustainable” or “this is green washing” but much harder to say, “here’s what you should do to be sustainable”, particularly in a world where sustainability is not about finding perfection but really just choosing the least-worst option from a range of possibilities. When you switch between discussing residential and commercial buildings you suggest an equivalence which isn’t there and lose the message about the tools that do need change to improve the sustainability of our built environment. This article will confuse people and give them the excuse to do nothing – is that what you intended? Good to see that someone else has also spoken up.